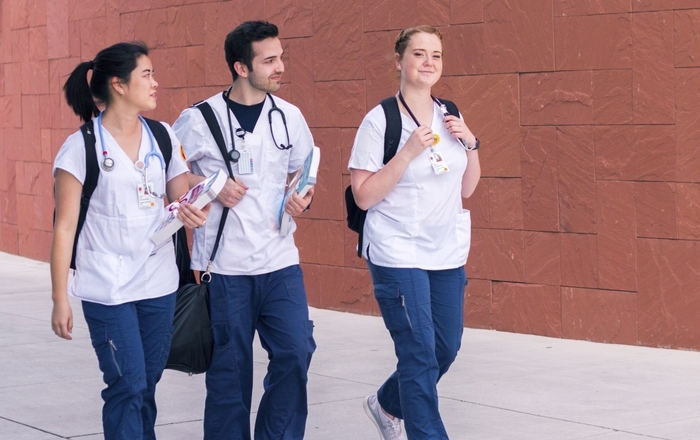 A statewide nursing education program designed to increase the number of nurses with BSN (baccalaureate of science in nursing) degrees in New Mexico will graduate its first cohort this week. More than 65 students who completed the common statewide nursing curriculum developed by the New Mexico Nursing Education Consortium (NMNEC) will receive their BSN degree Friday, Aug. 21 at the University of New Mexico College of Nursing’s summer convocation. The event will kick off at 2 p.m. at the Hiland Theater, 4800 Central Ave SE in Albuquerque. NMNEC, a collaborative of nursing programs in state-funded universities and community colleges, developed a common nursing curriculum which allows community college students to obtain an associate’s degree or pursue a bachelor’s degree in partnership with a university. 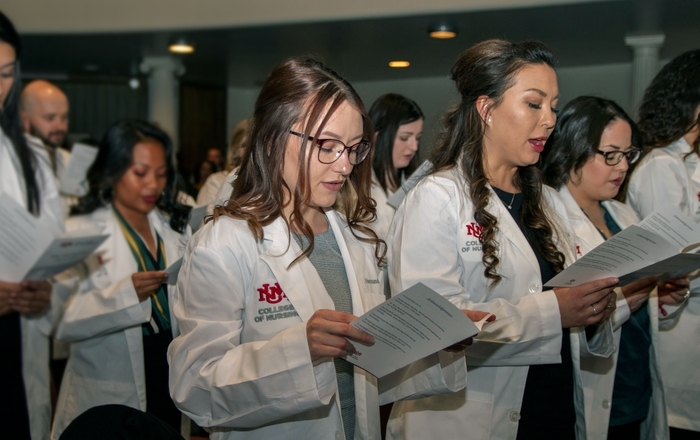 “To congratulate our first graduates and see the impact that they will have on their communities is a great source of pride for me and the entire state of New Mexico,” says Nancy Ridenour, PhD, RN, dean of the UNM College of Nursing. Friday’s convocation will also include graduates from other UNM nursing degree programs. Those expected to attend include New Mexico Gov. Susana Martinez; Barbara Damron, PhD, RN, New Mexico secretary of higher education and former UNM faculty member; Paul B. Roth, MD, UNM chancellor for health sciences; UNM Regents Suzanne Quillen and Lt. Gen. Bradley Hosmer, and Katharine Winogard, EdD, president of Central New Mexico Community College. Jean Giddens, PhD, RN, dean of the School of Nursing at Virginia Commonwealth University and a former UNM College of Nursing administrator, will deliver the keynote address. NMNEC members say the common nursing curriculum encourages students to not only pursue their BSN degrees in their home community, it encourages them to seek employment and provide health care in their own communities. 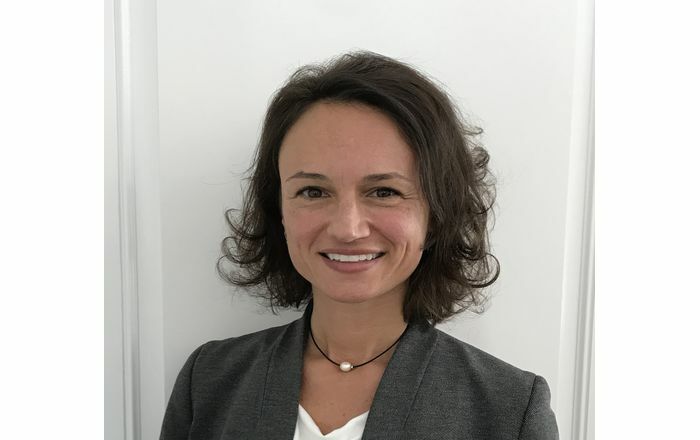 “Nursing education in New Mexico has come together in unprecedented collaboration to create a curriculum that will be used by rural and urban programs to provide a uniform and standardized approach to educating nurses,” says Joe Heidrick, MSN, RN, nursing program director at Western New Mexico University in Silver City. The program’s first cohort includes students who obtained their pre-licensure BSN while attending Central New Mexico Community College, which partnered with UNM to offer this degree option. Two years ago only two state-funded universities, UNM and New Mexico State University, offered the pre-licensure BSN degrees. Today this degree is offered in seven state-funded schools in 10 communities. By 2018, students will be able to obtain a bachelor’s degree in nursing from 16 schools in 19 locations in New Mexico. In addition to CNM, other community colleges partnering with UNM include San Juan College, and New Mexico Junior College. NMSU is currently partnering with Santa Fe Community College to offer the bachelor’s degree in nursing. To obtain more information about the statewide program visit www.nmnec.org.